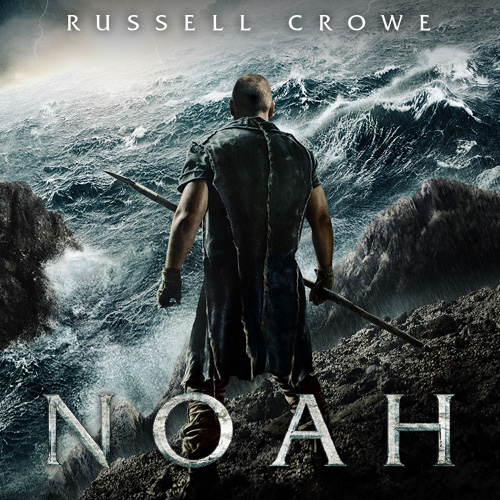 JNN 12 Mar 2014 Washington : Three Arab countries have banned the Hollywood film “Noah” on religious grounds even before its worldwide premiere and several others are expected to follow suit, a representative of Paramount Pictures told Reuters on Saturday. “Censors for Qatar, Bahrain and the UAE (United Arab Emirates) officially confirmed this week that the film will not release in their countries,” a representative of Paramount Pictures, which produced the $125 million film starring Oscar-winners Russell Crowe and Anthony Hopkins, told Reuters. “The official statement they offered in confirming this news is because ‘it contradicts the teachings of Islam’,” the representative said, adding the studio expected a similar ban in Egypt, Jordan and Kuwait. Noah, who in the Bible’s Book of Genesis built the ark that saved his family and many pairs of animals from a great flood, is revered by Judaism, Christianity and Islam. An entire chapter in the Koran is devoted to him. Cairo’s Al-Azhar, the highest authority of Sunni Islam and a main center of Islamic teaching for over a millennium, issued a fatwa, or religious injunction, against the film on Thursday. “Al-Azhar … renews its objection to any act depicting the messengers and prophets of God and the companions of the Prophet (Mohammad), peace be upon him,” it announced in a statement. They “provoke the feelings of believers … and are forbidden in Islam and a clear violation of Islamic law,” the fatwa added. Mel Gibson’s 2004 film “The Passion of the Christ” on Jesus’s crucifixion was widely screened in the Arab World, despite a flurry of objections by Muslim clerics. A 2012 Arab mini series “Omar” on the exploits of a seventh century Muslim ruler and companion of the Prophet Mohammad also managed to defy clerics’ objections and air on a Gulf-based satellite television channel. A 2012 amateur Youtube video deriding Prophet Mohammad produced in California stoked protests throughout the region, and may have contributed to a deadly militant raid in Libya which killed the U.S. ambassador and three other American staff. “Noah,” whose official video trailer depicts a burly Crowe wielding an axe and computer-animated geysers swamping an army of sinners hoping to board his ark, has also stoked religious controversy at home. “While artistic license has been taken, we believe that this film is true to the essence, values and integrity of a story that is a cornerstone of faith for millions of people worldwide,” the advisory reads. This entry was posted in AFRICA, Middle East and tagged Anthony Hopkins, arab countries, Hollywood film, Hollywood's Latest Movie, Islamic Values, Koran, Mel Gibson, Noah, Paramount Pictures, Protest In Muslim World, representative, Russell Crowe, Sunni Islam, The Passion of the Christ, United Arab Emirates, Washington. Bookmark the permalink.